Cape Town Constantia accommodation - Self catering accommodation in Southern Suburbs, in Constantia and Cape Town. Cape Town holiday houses in Bergvliet in the Constantia Valley. Where to Stay in affordable self catering accommodation in Cape Town? Need a Self Catering Place to Stay in the Southern Suburbs of Cape Town near to the Cape Town Waterfront and Cape Town Beaches ? 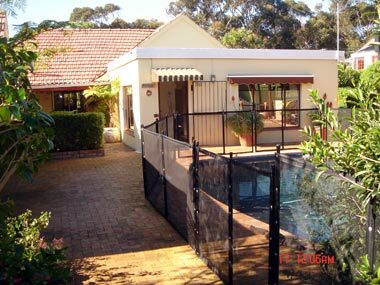 Ascot Gardens "Home from Home" 3 Star Graded Self Catering Accommodation in Cape Town Southern Suburb of Bergvliet, Constantia Valley is ideally situated within 20-30 minutes drive of Cape Town City, the Waterfront, Beaches and the Airport. Affordable Self Catering Accommodation in 14 private units and cottages and entire holiday houses for sleeping 2 to 20 persons. Situated In a quiet tree lined safe residential suburb called Bergvliet in the Southern Suburbs , in the Constantia Winelands , only 20 minutes drive from Cape Town. Secure off street parking behind remote controlled gate. Free Wifi Internet and use of 2 computers in library. Fully furnished, with bedding and bath towels supplied. Kitchens with either stove or 2 hot plates, microwave , fridge and all Utensils and Crockery provided. Dstv , Dvd and Music Centre in each unit. Iron and Ironing board and Broom/Brushes/Mops in each unit. Private entrances and outdoor patios with own BBQ facilities, and garden table and chairs. Swimming Pool, Laundry and Library with Tourist brochures. 7 Minutes walk from shopping center and 6 restaurants. From May - 1 November, for every 6 nights booked , you get 1 night FREE. 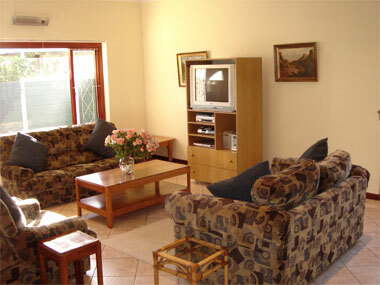 Ascot Gardens Self Catering accommodation has a central location, within 20 minutes drive of Cape Town and Airport. This makes it an ideal self catering accommodation base for Cape Town holiday and business visitors wishing to experience everything that Cape Town, the Cape Peninsula and the Constantia Winelands and Cape Winelands has to offer. Reasons why Ascot Gardens is the PLACE TO STAY for your self catering holiday accommodation visit to in Cape Town or Constantia! The ASCOT GARDENS 3 Star Graded self catering holiday guest houses, self catering garden cottages and self catering holiday homes, Cape Town holiday houses and holiday villas offer cheap,affordable, budget and luxury self catering holiday accommodation in Cape Town . Each free standing holiday house comprises of 3 private self catering apartments all with secure off street parking, and private entrances. All self catering cottages are surrounded by a beautiful one acre garden (which has appeared on BBC TV's Gardeners World). Bergvliet , a suburb in Constantia, main attraction for a visitor to Cape Town, is its quick and easy access to the M3, and M5 motor ways, which take you into the Cape Town City Centre and Waterfront, as well as all the major tourist attractions and beaches, in only 20 -30 minutes. 6 excellent local Restaurants, a shopping centre and train station are all within walking distance. We offer free WiFi internet, library, Tourist brochures , laundry facilities, secure off street parking in allocated parking bay, own private entrance and patio with BBQ facility and a shared swimming pool with sun lounges. Each individual house on the Ascot Garden property has been tastefully converted into 3 private and separate self catering holiday cottages , offering self catering accommadation for any number of persons (from 1 to 15 persons). The 4 self catering Ascot Gardens holiday homes can be rented as 12 separate guesthouses (10 one bed roomed cottages , 1 two bedroom guest house and 1 three bedroom holiday house). Our Self catering accommodation is ideal for a holiday in Cape Town, business visitors to the city, wedding guests, sport groups, family reunions, Constantiaberg Medi Clinic hospital or American Embassy/Consulate Visa visits or for visiting friends or relatives. Each self catering holiday cottage has its own private entrance and patio and BBQ and is set in a beautiful one acre garden containing a variety of plants and trees, with all year round colour.. The garden cottages can be booked individually or combined and booked as holiday homes for large groups requiring cheap affordable or budget self catering accommodation in Cape Town. There is no extra charge for persons using the sleeper couch or double bunks or single beds, supplied on request when booking the larger cottages. Payments can be made using secure credit card payment facilities, bank transfer, cheque or cash. Ascot Gardens offers Free Wifi Internet in all suites. There are 2 complimentary computers offering free internet in the library as well as tourist brochures and information on restaurants and activities in our Constantia Bergvliet area and Cape Town. There is full premium DSTV satellite TV, DVD and music centre as well as bedside clock radio and wall safe in all suites. There are ceiling fans in all the bedrooms and lounges. All bedrooms have 2 single beds except the Duke, Royal, Queen, Cottage and the main bedroom in the African Apartment and 2/3 Bed House , which have Queen size beds. Duchess cottage has a normal double bed. The V&A Waterfront, Cape Town City Center and Table Mountain are 20 minutes drive away. Kirstenbosch Botanical Gardens and Muizenberg and Hout Bay beach, one of the finest in Cape Town, are 15 minutes away. The Constantia Winelands, Constantia Village and Cavendish Shopping Malls are 10 minutes away and the Stellenbosch Winelands 50 minutes away. The airport is a 30 minute drive. Within walking distance from Ascot Gardens are a train and bus station, a shopping center, 5 churches and 6 excellent coffee shops and restaurants. Table Mountain, one of South Africa's greatest landmarks, towers over the bustling city of Cape Town ("The Mother City). Cape Town is rated as one of the top 5 tourist cities in the world and has something to offer for every visitor. Wine tasting in the spectacular Constantia or Cape Winelands, fine dining in gourmet restaurants, indigenous fauna and flora, whale watching, shark cage diving, outdoor activities, breathtaking coastlines, mountains and wildlife. Spend hours sunbathing on pristine beaches or spend the day exploring the range of water sports on offer at any one of Cape Town's beaches. Sip on a cocktail and view the spectacular sunsets over the Atlantic ocean, the riviera of Cape Town.